The Amazone Group achieved a turnover of 406 m Euros in 2016 compared with 402 the previous year. In the countries Russia, Ukraine, Rumania, Spain, in the Baltic region and in Australia turnover was well above average. Also in 2016 the export share was 80 %, the number of the permanent employees 1,800, among them 130 trainees and expenditures for research and development was more than 5% of turnover volume. An important strategic step was the purchase of a 24 ha new site in the new Bramsche industrial and commercial area. The company also purchased the plough factory from Vogel & Noot in the Hungarian Mosonmagyaróvár. 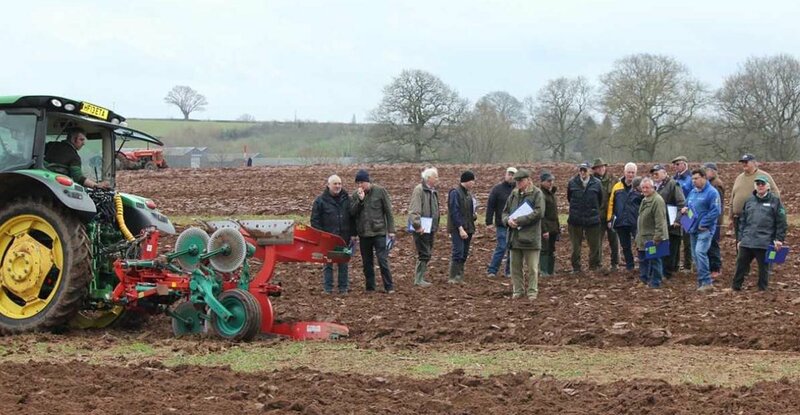 This will allow Amazone to supplement the existing Cayron series to include in its portfolio five further series of mounted reversible ploughs of different sizes and designs. The new series with the name Cayros were initially introduced in November in green-orange colour at various international exhibitions. Investments in the expansion of the different factory sites continued in 2016. In Hude-Altmoorhausen the new painting facility began operating in November. Costing 20 million Euros this new facility is the biggest individual investment in the history of the company. Despite restrained markets turnover the forecast is optimistic for 2017. “We are convinced that the growth of the Amazone Group does not solely depend on the general development of the market but also on the increasing demand on out products. With our new ploughs and all the other innovations we are better positioned than ever before. Also the exploitation of new regional markets is on the Agenda for 2017. The medium- to long term trend for the development of the agricultural machinery industry and especially of the Amazone Group the directors judge as furthermore positive,”added Messrs Dreyer.